4 Auspicious Autumn Festivals in India!! India is known as a spiritual country worldwide, where numerous festivals remain in the heart of its people. Various kinds of vibrant festival are celebrated with full enthusiasm throughout the year. These Indian festivals offer a wonderful opportunity to see the unique Indian culture at its best. With the arrival of autumn, a lot of divine & auspicious festivals are celebrated in India. The following are the autumn festivals in India that offers a divine and spiritual experience. The term Navaratri means nine days. Nava menas nine and ratri means night in Sanskrit. The arrival of spring as well as the autumn is considered to be important transitions of climatic and solar positions. These two time periods are accounted as auspicious opportunities to worship the Divine Maa Durga. In eastern states of India (West Bengal, Odisha and Bihar) this divine festival is called as Durga Puja. These nine days are followed by tenth day called Dusshera. This year autumn Navaratri 2015 is celebrated on 13th to 22nd October 2015. This day is marked by the victory of goodness over evil. Dussehra festival is devoted for the celebration of defeat of the demon King Ravana by Lord Rama. This day also coincides with the divine victory of warrior Goddess Durga over the evil buffalo demon king Mahishasura. Massive statues of the Goddess Durga are crafted and immersed in the holy Ganges River on Vijaya Dashami. Thus these nine-ten days are extremely special and have a great religious significance. People like to give each other Navarati gifts Pooja thali, statue of Gods & Goddess, Aarti lamps and sweets. The term Karwa Chauth consists of two words. Karva stands for ‘pot’ (a small water pot made of clay) and Chauth means ‘fourth’ in Hindi. It refers to the arrival of festival on the 4th of dark night. According to the Hindu calendar this festival falls on Krishna Paksha of the month of Kartika. This year Karwa Chauth 2015 is falling on 30th October 2015. It is an auspicious festival celebrated by married Hindu women (mostly in North India). The special ritual of this festival is that married women observe a strict fast from sunrise to moonrise for the longevity, good health and prosperity of their husbands. In return Husband gives Karwa Chauth gifts to their beloved wife. The fast of Karwa Chauth festival is traditionally observed by Hindu women in the states of Delhi, Uttar Pradesh, Rajasthan, Himachal Pradesh, Haryana, and Punjab. Karwa Chauth festival is celebrated on the 4th of day of kartika month after the full moon according to the Hindu lunisolar calendar. Diwali is one of the most important festivals. It also represents the beginning of the Hindu New Year. It’s also called as the “Festival of Lights” for all the lamp, lights and candles work. Children are busy in bursting fireworks during the celebrations. These beautiful lights and fireworks symbolize the victory of good over evil, and radiance over darkness. Lord Ganesha and Goddess Laxmi are revered and welcome in every household. They are known to shower wealth, joy and prosperity. Individuals give Diwali gifts, sweets and diwali dry fruits boxes to each other. Bhaidooj festival is celebrated on the 5th day of Diwali festive week. It is regarded as the second most important Indian festival for brothers and sisters. Sister keeps fast and performs special rituals for the long life and protection of their beloved brother. They also apply colourful roli on the forehead of their brother and feed them with sweet delicacies. In return, brother vouches for guarding their sister against all odds. 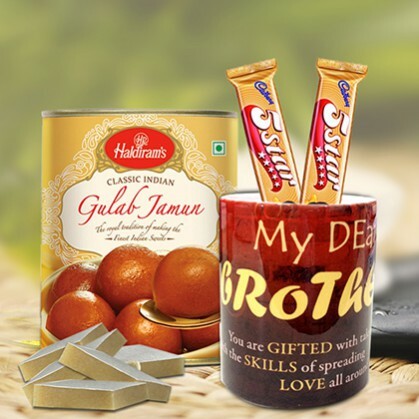 They also exchange wonderful Bhai dooj gifts and hampers with siblings and cousins. 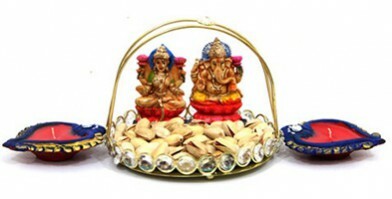 For buying festivals gifts online log on to Giftalove.com. 4 Ideal Choices for Navratri Gifts! If there is lot of confusion that you are facing in selecting what to buy as Navratri Gifts for your loved ones then this is the right place for you get some amazing and lucrative ideas for the same. After all gifts are the elements to add more joy and fun into the celebration of Navratri. 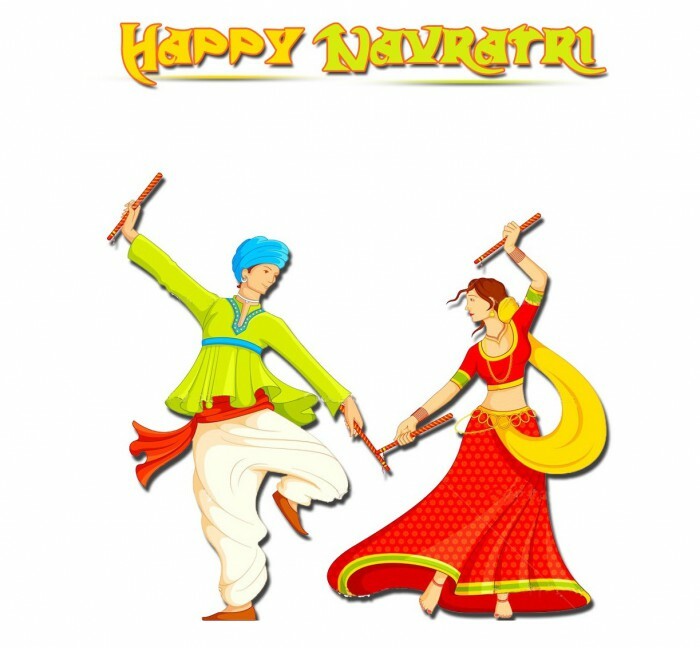 The approaching days for Navratri festival is the reason for the happy faces all around in India. The nine days festival of Navratri is one of the biggest festivals of India that is celebrate with great zeal, excitement and following the rituals by the people of India. It is the festival that symbolizes the victory of good over the bad and is reckoned for various mythological reasons for the celebration. For the auspicious Navratri festival if it is to name one of the most sacred and relevant gift options then it can be nothing much better to name Maa Durga Idol. You can buy a Maa Durga Idol that is ideal for worshipping or a Durga Maa Face Showpiece as well. Also there is vast variety in terms of materials like Brass made, clay made, silver made, copper made Maa Durga idol. To add more fun into the Navratri celebration of your loved ones, a Sweets and Dandiya Combo is simply the perfect gifting option. 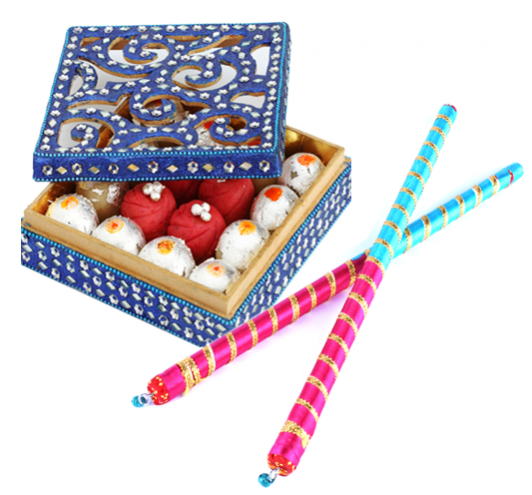 Sweets will add its sweet flavor into the celebration and Dandiya sticks for the joyous Dandiya dance on Navratri. 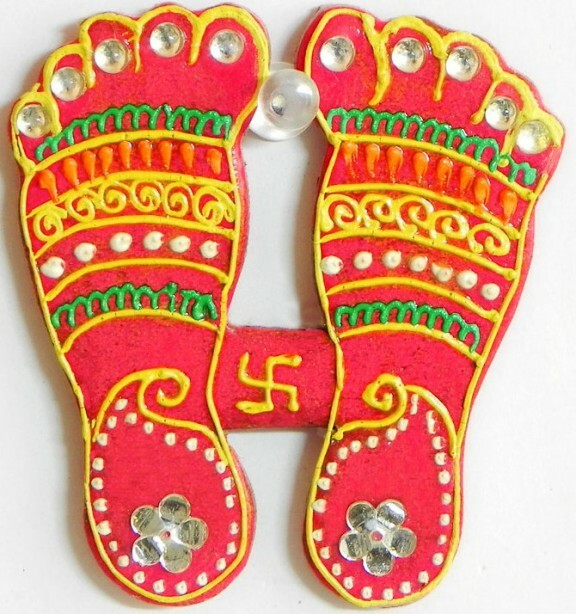 If it looks up for auspicious yet a decorative Navratri gift then a set of or pair of Maa Dura Foot Stickers can be an excellent gifting option for Navratri festival. Your loved ones can use these stickers at home on the way to the entrance of home or nearby Mandir. 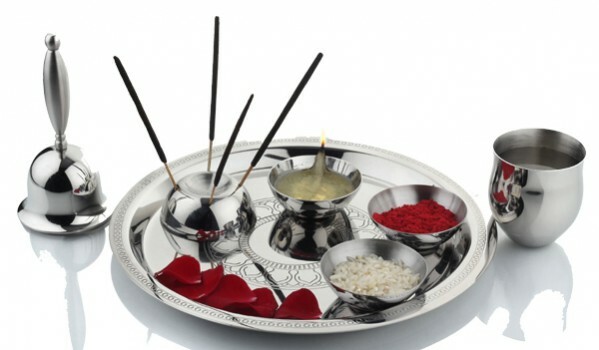 Another auspicious yet very useful Navratri gift option is Decorative Puja Thali. 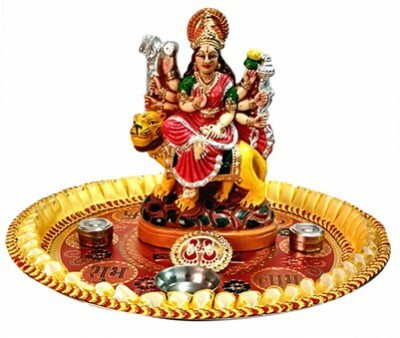 On Navratri while worshipping Maa Durga or while performing aarti of Maa Durga one can use Decorative Pooja Thali that is inclusive of all the Puja essentials as well. 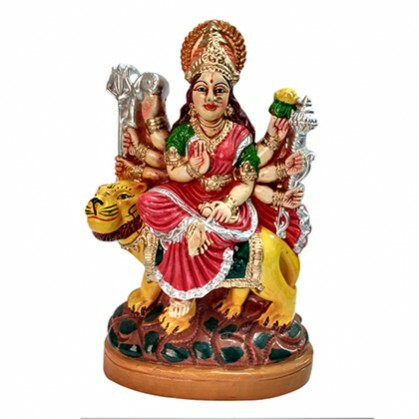 Now if you have got the idea and willing to buy Navratri gifts online then you need to log on to www.giftalove.com that is one of the renowned online gift portals of India and now has come up with the vast array of Navratri gifts online. 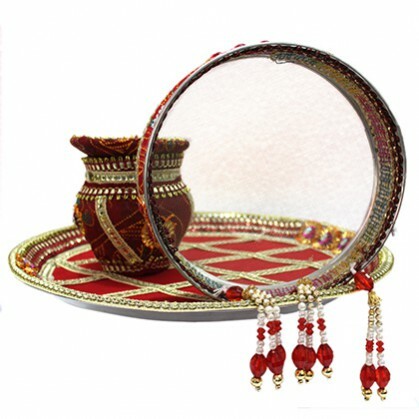 There is lot more to explore in the vast collection of Navratri gifts at Giftalove.com! So hurry as its rush time!